>>>This is a multi-unit set and the shipping cost will be adjusted to that of 2 books. To learn more about the shipping cost, please visit our Info Page and read Shipping Information. >>>You may purchase individual volume(s) instead of the entire set. To do so, please clearly state, in the Comments box during the check-out process, which volume(s) only you want to purchase. We will modify your order accordingly, after your order is submitted. Is George R.R. Martin for real? Can a fantasy epic actually get better with each new installment? Fans of the genre have glumly come to expect go-nowhere sequels from other authors, so we're entitled to pinch ourselves over Martin's tightly crafted Song of Ice and Fire series. The reports are all true: this series is the real deal, and Martin deserves his crown as the rightful king of the epic. 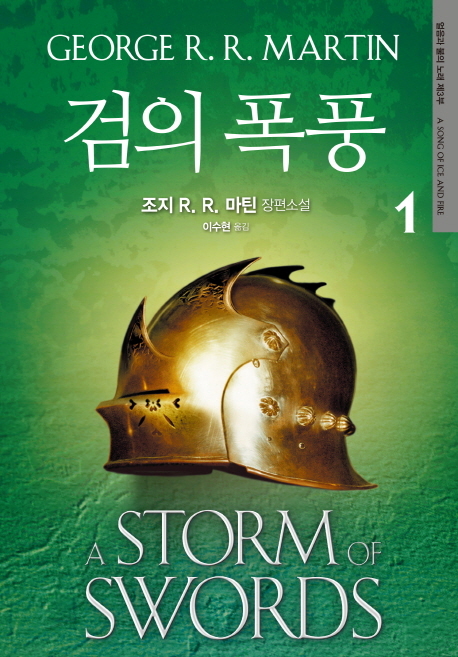 A Game of Thrones got things off to a rock-solid start, A Clash of Kings only exceeded expectations, but it's the Storm of Swords hat trick that cements Martin's rep as the most praiseworthy fantasy author to come along since that other R.R.